Visitors enjoy a view the summit eruption from Kīlauea Volcano’s Halema‘uma‘u Crater from a new vantage point just south of Jaggar Museum. The viewing area was funded by entrance fee revenue, and enhances visitor experience at the park’s most popular destination. PC: NPS/Janice Wei. 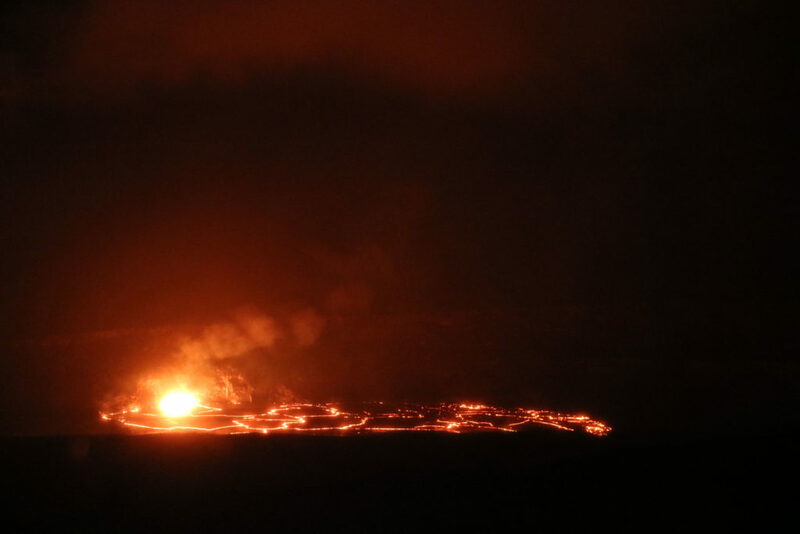 This past week, Kīlauea Volcano’s summit lava lake level fluctuated with summit inflation and deflation, ranging about 100 to 133 feet below the vent rim. 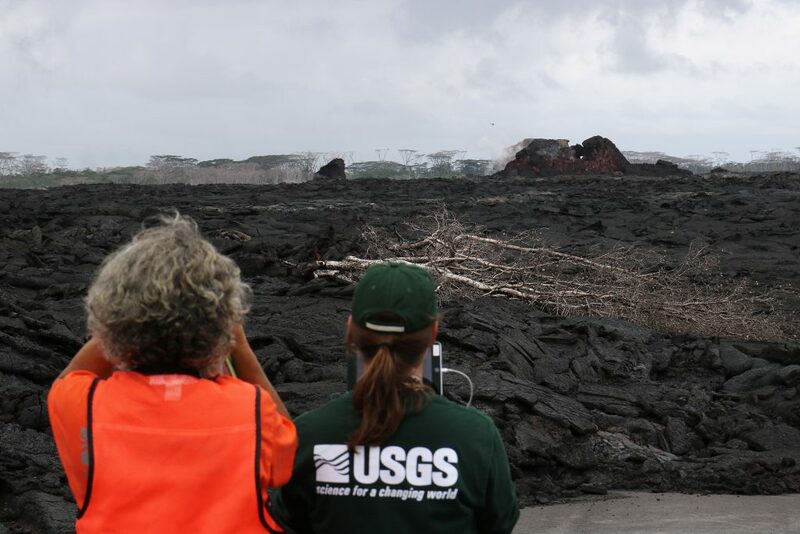 On the East Rift Zone, the 61g lava flow remained active downslope of Pu‘u ‘Ō‘ō, with scattered breakouts on the upper part of the flow field and on Pulama pali, but no ocean entry. The 61g flows do not pose an immediate threat to nearby communities. Mauna Loa is not erupting. Rates of deformation and seismicity have not changed significantly in the past week, persisting at above-long-term background levels. Sixteen micro-earthquakes (magnitudes less than two) were located beneath the summit caldera, upper Southwest Rift Zone, and western flank of the volcano at depths of zero to three miles. GPS and InSAR measurements continue to show slow deformation related to inflation of a magma reservoir beneath the summit and upper Southwest Rift Zone. 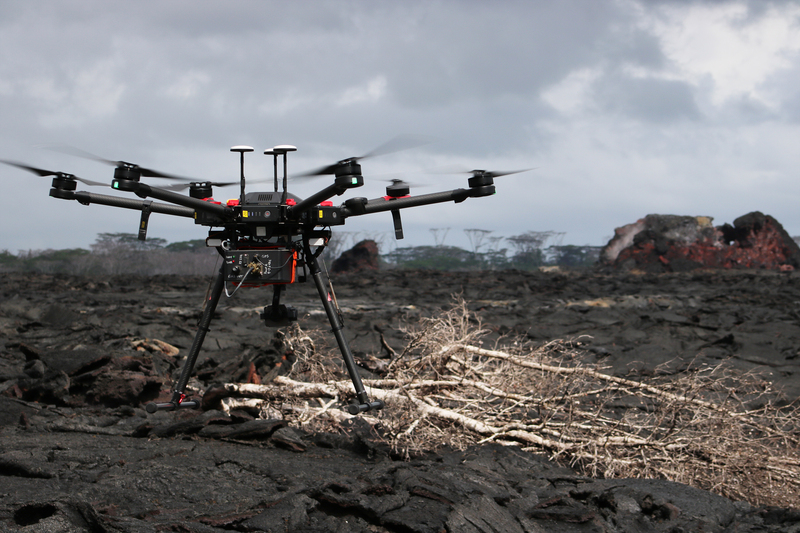 No significant changes in volcanic gas emissions were measured. 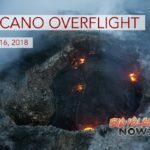 The “Hawai‘i Volcano Activity Update” is a weekly article written by U.S. Geological Survey Hawaiian Volcano Observatory scientists and affiliates.